Revealed Recordings front man, Hardwell, delivers a new track, ‘Apollo’, as follow-up to his critically acclaimed ‘Spaceman’. This new single, which is currently #1 on DMC's buzz chart, will be released on Hardwell's own record label Revealed Recordings on November 26. 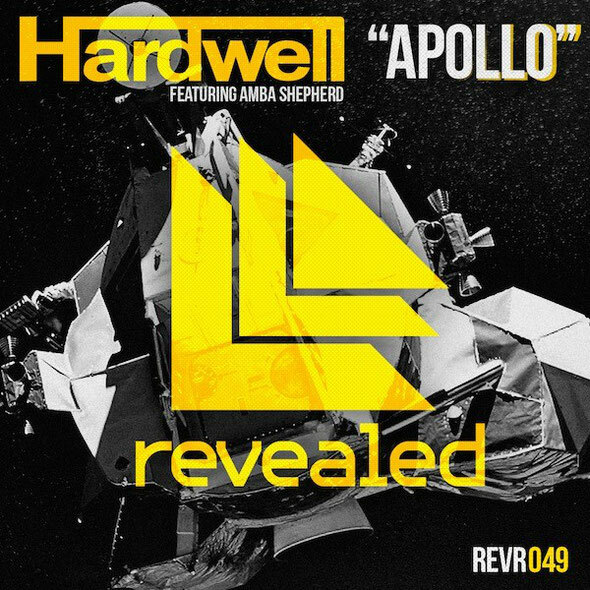 Previously debuted at the Revealed Recordings label night at the Amsterdam Dance Event (ADE), ‘Apollo’ highlights why Hardwell is one of the leading producers of this generation. With the addition of the vocals of Australia’s Amba Sheperd, he builds the track with chords, then after a swift build into a pair of call-to-action snare hits, you’re off with a progressive lead synth melody with a dense electro bassline backbone. In the words of Hardwell: "While producing 'Apollo' I got goosebumps all over by the exciting melody. I instantly knew that this was going to be the follow up of 'Spaceman.' The title 'Apollo' refers to the city of Houston where I started the track in my hotel room."